Everyone knows that wearable tech, from Google Glass and Nike FuelBands to "smart" clothing, is all the rage. And, 2013 holiday shopping was dominated by fitness bands. Apparently, people want data on everything in their lives. But, we've got some bad news if you invested in a FitBit Force to help prod you towards your New Year's resolutions: It's been (voluntarily) recalled by its manufacturers. There've been complaints that the device is leaving some people with unsightly, itchy rashes beneath the band. In fact, The Consumerist recently published a slightly disgusting account of one man's FitBit-induced rash journey. And, today FitBit announced that they will offer full refunds of $129 to anyone who's had a negative reaction to the band. 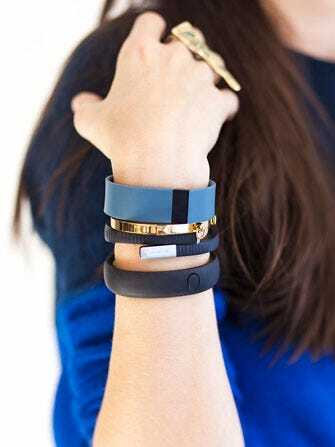 Though they're not sure what exactly is causing the rashes, theories include traces of nickel, the latex-free elastomer used to make the actual wristband, or the glue that holds the band together.